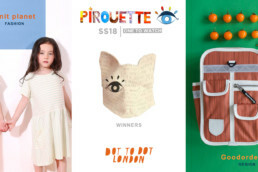 This New Year we will be on the lookout once again to discover the most exciting emerging labels in kid’s fashion and design for AW18/19. 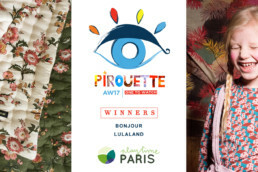 And, for the first time, we start our search in Italy at Pitti Bimbo with both Florence & myself in attendance for the launch of the awards. 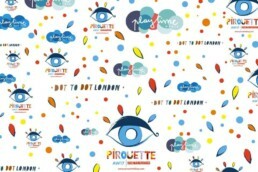 The search then moves on to London with Dot to Dot and finally out to the states for Playtime, New York. 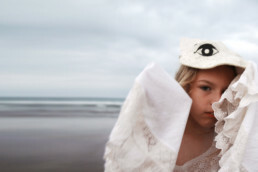 For this season’s awards, we have collaborated with the brilliant designer Alejandra Salvatore of Severina kids to create an exclusive One to Watch “Spyglass”. The Spyglasses will be presented to the winners of both the design and the fashion awards at each of the shows. 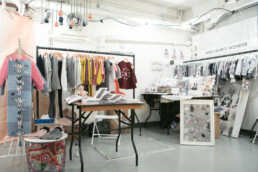 So follow what we are up to at the shows and look out for the best emerging talent in kids fashion & design. 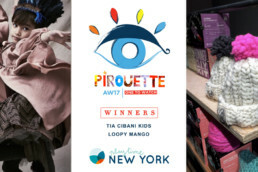 The purpose of the Pirouette One to Watch awards is to identify, highlight and support emerging talent entering the industry, something Pirouette has long championed. 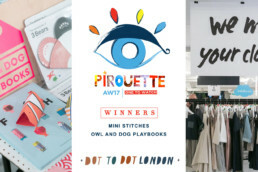 The awards are open to new and young brands exhibiting at the shows and will be chosen by both Florence and Katie from Pirouette. designer and founder of Severina kids. Founded by Argentinian-Italian designer Alejandra Salvatore. Severina Kids is a unique artisan brand which offers beautifully handcrafted toys and objects for the young and the young at heart. 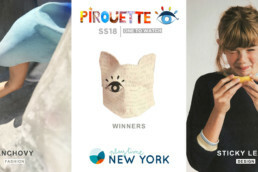 Conceived, imagined and illustrated by Alejandra then handmade by Argentinean artisans, Severina’s objects are distributed worldwide, with each piece uniquely produced with slight variations in style and fabric making each and every piece “one of a kind”. An architect by training and a self-proclaimed globetrotter, Alejandra grew up in a textile environment. Her mother and grandmother were passionate craftswomen and from her early childhood she was surrounded by people designing, knitting and sewing.The name Severina Kids was inspired by the birthplace of Alejandra’s grandparents, Santa Severina, a small village in the South of Italy. Alejandra takes great care in selecting the materials used by the brand. Recycled vintage fabrics, scrap remnants from fashion designers, 100% Certified Peruvian Organic Cotton, 100% Argentinean Merino wool, Eco Felt and Recycled materials. Last October 2017 Severina Kids received the SMALLISH DESIGN AWARDS for Best Eco Toy Design. 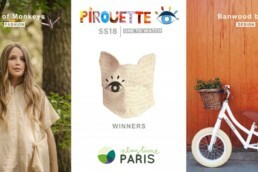 In 2011, Severina Kids won the MILK MAGAZINE Award for Best Toy at Playtime Paris, where the brand was greatly received by the press and critics. Model wears Windsor Coat, Black Houndstooth by Caramel, shop here. Many thanks!